SK Telecom aired Korea’s largest New Year’s event - which included a countdown and bell-ringing ceremony, over its commercial 5G network. The eleven-minute program was carried using the carrier's "T Live Caster," a live broadcasting platform. The video of the event - which was taken by smartphone cameras installed with the ‘T Live Caster’ app and connected to a 5G mobile routers - was transmitted through 5G base stations and XtvN’s transmission system to reach cable and IPTV viewers of XtvN. The video was transmitted at a latency of less than one second – which is similar to that of the existing wired broadcasting system – despite the extremely congested data environment. South Korea's Ministry of Science and Technology concluded its auction of 5G spectrum. Total winning bids amounted to 3,618.3 billion won (US$3.28 billion). 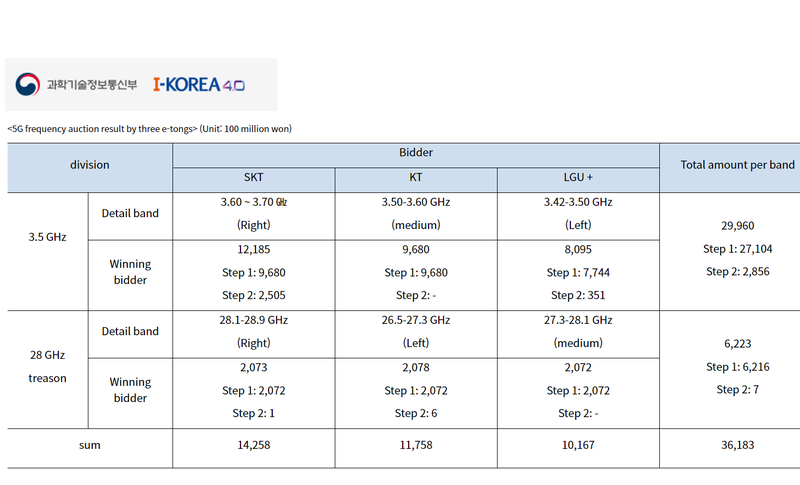 In the 3.5 GHz band, SKT and KT were allocated 100 MHz bandwidth, and LGU + was allocated 80 MHz bandwidth. In the case of the 28 GHz band, SKT, KT, and LGU + were each allocated 800MHz bandwidth. The auction used a first phase clock bidding method) for determining the frequency quantity in the 3.5 GHz and 28 GHz bands. A second phase of the auction used sealed bidding to determine the frequency position. SKBroadband rolled out DOCSIS 3.1 downstream and upstream pilot service in the Anyang area in Gyeonggi Province and the Gwangju area in Jeollanam Province in November 2017. The deployment uses the Cisco cBR-8 converged broadband router. The Cisco cBR-8 is designed from the ground up for DOCSIS 3.1, featuring support for future advanced technologies like Full Duplex DOCSIS (FDX), Infinite DOCSIS and SDN-based orchestration. The operator expects to roll out a larSKBroadband plans to further expand the bandwidth of its HFC coaxial cable network to ten Gbps downstream and five Gbps upstream in the future. ge-scale deployment in the second half of 2018. “By securing an HFC four Gbps transmission solution, we can provide sufficient bandwidth and stable 1 Gig service to our HFC subscribers," said Jichang Yu, Vice president of SKBroadband Infrastructure Division. "We will continue to provide our customers with the highest value." Koo Bon-moo, the chairman of LG Corporation, the fourth largest industrial group in Korea, has passed away. He was 73 and had been ill for about a year. Koo served as chairman since 1995. Under his helm, the global sales of appliances, displays, smartphones and batteries skyrocketed. The company changed its brand identity from Lucky Goldstar to LG. It also divested its semiconductor business (now SK Hynix), and it established a telecom division. Koo Kwang-mo (40), a senior official in LG Electronics and the adopted son of Koo Bon-moo, will take over the role of chairman. The Koo family and its charitable foundation are believed to control about 47% of the corporation. Samsung has begun production of the first 512-gigabyte (GB) embedded Universal Flash Storage (eUFS) for next-generation mobile devices. A smartphone with 512GB of flash would be capable of storing approximately 130 4K Ultra HD (3840x2160) video clips of a 10-minute duration. The new devices stack together eight 64-layer 512Gb V-NAND chips and a controller chip. Samsung said its new 512GB UFS doubles the density of its previous 48-layer V-NAND-based 256GB eUFS, in the same amount of space as the 256GB package. LG U+, a leading mobile network operator in Korea, achieved a peak downlink rate of 2.5Gbps at a distance of 1 km in 5G intensive urban field test conducted in the Sangam area of Seoul in partnership with Huawei. The testing was based on Huawei's research into the latest 3GPP 5G NR protocol frame. At the same time, this test also verified the large capacity of 5G. In addition, the peak rate of single user under millimeter wave 28GHz reached 18.5 Gbps. SK Telecom has expanded the coverage of its LTE-A Pro services – providing up to 700Mbps to 900Mbps speeds – to 75 cities and 31 counties in Korea. The carrier first activated five-band carrier aggregation LTE-A Pro service in June 2017 and has been expanding aggressively since then. SK Telecom said subscribers can experience up to 900Mbps data throughput in major commercial districts throughout Korea, including Gangnam, Hongdae, Sinsa (Garosu-gil), Yeouido, Jamsil, Myeondong, Jongno in Seoul; Seomyeon in Busan; Dongseongno in Daegu; Chungjangno in Gwangju; Samsan-dong in Ulsan; Daejeon City Hall; Gochang and Wanju in North Jeolla Province; and Gwangyang, Naju, Boseung, Yeosu, Yeongam and Haenam in South Jeolla Province. Users will need a premium smartphones embedded with the Exynos 9 mobile chipset, such as the Galaxy S8 and Galaxy Note 8. Woojune Kim, Senior Vice President and Head of Next Generation Strategy in Network Business at Samsung Electronics, said, "It is becoming increasingly important that we accelerate our focus on 5G's ability to meet a growing number of performance metrics. Until now, peak bandwidth has been the common refrain, and certainly a big component of the future of 5G. However, the test we conducted with KDDI will help us build a more diverse portfolio of future 5G use cases." 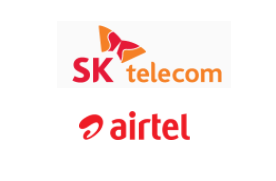 SK Telecom, Korea’s largest telecommunications company, and Bharti Airtel, India’s largest telecommunications services provider, announced a strategic partnership under which Airtel will leverage SK Telecom’s expertise to build the most advanced telecom network in India. Areas of collaboration include bespoke software to dramatically improve network experience, leveraging advanced digital tools including machine learning, big data and building customized tools to improve network planning based on every customer’s device experience. The two companies will also collaborate to evolve standards for 5G, NFV, SDN and IoT. Network Functions Virtualization (NFV), Software-defined Networking (SDN) and Internet of Things (IoT), and jointly work towards building an enabling ecosystem for the introduction of these technologies in the Indian context. “We are extremely delighted to announce this partnership with the world’s leading operator when it comes to technology understanding and expertise. This partnership will bring a dramatically improved experience to Airtel customers in India by leveraging the expertise of a company that has built one of the best mobile broadband networks in the world,” Said Sunil Bharti Mittal, Chairman of Bharti Airtel. SK Telecom has developed a 5G repeater that improves signals in blanket/shadow areas by amplifying 5G radio signals. The 5G repeater, which is currently in a field trial Gangnam Station in Seoul, could held reduce or elimiate shadow areas of network coverage. It works by improving the propagation characteristics of radio signals at super-high/above-6GHz frequency bands. SK Telecom said the Gangnam area in Seoul is one of the most difficult places to plan/build a network due to the presence of a large number of radio wave obstacles and high-density data traffic. Korea's SK Telecom announced that it has commercialised T-MANO, an NFV MANO (network functions virtualisation management and orchestration) platform that performs integrated management and orchestration of virtualised network equipment and software. SK Telecom noted that NFV MANO, also termed MANO, provides an architectural framework for managing and orchestrating virtualised network functions (VNFs) and other software components. The new T-MANO solution has been optimised to SK Telecom's network environment, and is based on the ETSI specifications that define the MANO architecture to facilitate the deployment and connection of services as they are decoupled from dedicated physical devices and moved on to virtual machines (VMs). Prior to the development of T-MANO, SK Telecom stated that it was necessary to develop, build and operate a separate NFV management platform for each network equipment provider due to the fact that each piece of NFV equipment was based on different specifications, depending on the manufacturer. Leveraging T-MANO, SK Telecom is able to more efficiently utilise its virtualised network equipment by managing service quality and data traffic in an integrated manner, regardless of equipment manufacturer, while improving the overall service quality through responding flexibly to service failures and errors. The solution also enables the company to significantly reduce the time required to set up new equipment and provide a new service as it can upgrade the whole system at once, as opposed to upgrading each system separately as was necessary previously. SK Telecom intends to leverage T-MANO to expand the telecommunications infrastructure ecosystem by opening up the APIs of T-MANO so that the industry can use it to build virtualised network equipment or software. The company will first apply T-MANO to its virtualised VoLTE (HD Voice) routers, and then plans to expand its application to the virtualised LTE evolved packet core (EPC) and additional equipment including MMS Servers. SK Telecom stated that in 2017, virtualised EPC will account for around 80% of newly-deployed EPC equipment, while from 2019 it intends to deploy only virtualised EPC solutions. In the field of NFV, SK Telecom has also commercialised an international standards-based NFV system orchestrator, named T OVEN, that was unveiled in 2015, and applied NFV technology to its base station equipment in September 2016. SK Telecom, South Korea's leading mobile operator by market share, is one of the big players to watch on the global stage for early 5G commercialisation. In fact, a race is on with local rivals KT and LG Uplus to have the first 5G service running in time for the 2018 Winter Olympics, which will be hosted in Pyeongchang, South Korea in February 2018 - only seven months away. 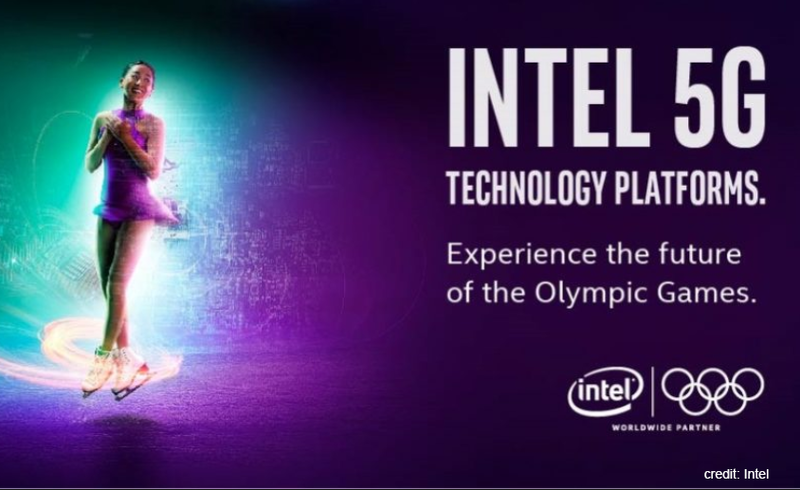 Of course, 5G standards are not complete and won't be in time for the Winter Olympics, which means that network planners will be rushing to show off systems that have barely been tested. 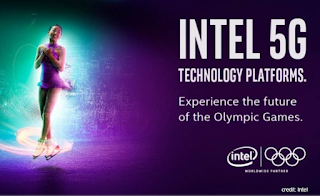 Sceptics will say that 5G demos at Pyeongchang are likely to be very limited in their footprint and perhaps only 4.5G rather than truly next gen. However, SK Telecom has a track record of being first with many networking technologies, extending back to its earliest days in CDMA. South Korea's mobile market is one of the most mature in the world. There are three dominant mobile operators: SK Telecom (approximately 49% share), KT and LG Uplus. Mobile penetration has exceeded 110% for years. The majority of users are on subscription-based plans, rather than prepaid, and churn is relatively light compared to other countries. 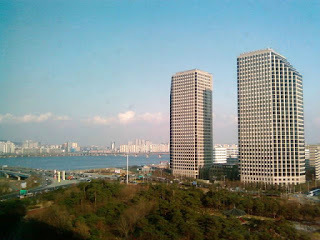 SK Telecom, part of the SK Group conglomerate (chaebol), was founded in 1984 and has a CDMA network architecture heritage. For its most recently reported fiscal quarter, SK Telecom posted revenue of KRW 4.234 trillion, operating income of KRW 410.5 billion, basically flat from a year earlier, and net income of KRW 583.5 billion, up 2.1 %YoY. As of the end of March 2017, SK Telecom had 21.65 million LTE subscribers, representing a 10.9% YoY growth, and taking up 72.6% of the company's total mobile subscriber base of 29.83 million. ARPU was KRW 34,927 ($31.04), down 2.9% YoY. SK Telecom also operates the Cyworld social network and virtual reality service as well as the Nate-on messaging application. This week, SK Telecom announced the launch of LTE-A Pro service, which it described as the last stage of LTE evolution. The service footprint covers the main areas of six major cities: Seoul, Busan, Daegu, Gwangju, Daejeon and Ulsan. The initial LTE-A Pro service uses three-band/four-band carrier aggregation (CA) to deliver rates of up to 700 Mbit/s. When 4 x 4 MIMO is added, the service accelerates to 900 Mbit/s. SK Telecom plans to scale up LTE-A Pro further using five-band CA with 4 x 4 MIMO to achieve 1.2 Gbit/s peak rates. The first mobile device to support the LTE-A Pro service is Samsung’s Galaxy S8. An over-the-air firmware update will be needed to support the additional CA bands. SK Telecom's spectrum resources include 10 MHz bandwidth in the 800 MHz band, 20 MHz bandwidth in the 1.8 GHz band, 10 MHz bandwidth in the 2.1 GHz band, 10 MHz + 20 MHz bandwidths in the 2.6 Ghz band. Peak speeds of 700 Mbit/s and up on a mobile phone are certainly impressive. Actually, SK Telecom has been delivering a 500 Mbit/s mobile service since June 2016 using 256QAM combined with tri-band CA. Four years ago, in June 2013, SK Telecom launched the first LTE-A service, which boasted download speeds of up to 150 Mbit/s, which is two times faster than its regular LTE service and 10 times faster than its 3G network. This was achieved using CA across two 10 MHz channels, along with the first Coordinated Multi Point (CoMP) implementation. Samsung's Galaxy S4 handset, which was the latest and greatest model in the summer of 2013, was the starring device for this milestone service launch as well. Many world capitals today have yet to attain the 150 Mbit/s performance peaks offered in Seoul four years ago. But surprisingly, SK Telecom's LTE adoption rate amongst is 29.8 million mobile subscribers was only 72%, or 21.6 million users, as of March 2017. This means that even for a mobile operator with the most advanced network in the world, a significant percentage of users are laggards when it comes to updating to the latest service. Recently, SK Telecom gained recognition for two other technology innovations: 5G mmWave Handover and a Green Scheduler with Lean Carrier algorithm. Both advances won Global Telecoms Business (GTB) Innovation Awards last month. The 5G mmWave handover technology, developed with Samsung, supports Gbit/s-level performance using multiple mmWave 5G base stations. The companies used the Ray Tracing method to calculate the optimal location of mmWave base stations. SK Telecom and Samsung also cited their work in 3D beamforming to resolve attenuation of radio signals in mmWave frequencies. The Green Scheduler with Lean Carrier technology, which was developed in partnership with Ericsson, enhances network energy efficiency while reducing signal interference. With Ericsson, SK Telecom is also known to be working on a 5G connected car program. Earlier this year, SK Telecom, Ericsson and BMW Korea achieved a peak rate of 3.6 Gbit/s for a connected vehicle travelling at a speed of 170 km per hour. To pull this off, the three companies deployed the world largest mmWave 5G trial network using the 28 GHz band. Beamforming and beam tracking technologies were used to optimise the connection to the speeding car. To further illustrate its interest in pushing technological boundaries, SK Telecom signed separate research partnerships earlier this year with Nokia and Deutsche Telecom focused on quantum cryptography. The first partnership will match SK Telecom's Quantum Key Distribution System (QKD) with Nokia’s next-generation optical transport system. The first prototype was shown at Mobile World Congress in February. Nokia and SK Telecom are also collaborating on a Quantum Random Number Generator (QRNG), which is seen a key technology for applying quantum cryptography technologies to IoT devices. SK Telecom has developed what it claims to be the world’s smallest 5 x 5 mm CMOS Image Sensor (CIS) based all-in-one, single silicon (ASIC) for providing non-deterministic true random numbers on demand from quantum-shot noise. The plan is to commercialise the technology to enable secure IoT. “Committed to building a quantum-safe future, SK Telecom has been actively developing quantum cryptography technologies since 2011. SK Telecom believes that the co-establishment of the Quantum Alliance with Deutsche Telekom will bring us closer to realizing this goal, while also creating new valuable business opportunities in areas including quantum-safe communications, the Internet of Things and big data. It will work together to accelerate the growth of quantum-based cybersecurity technologies and its ecosystem".